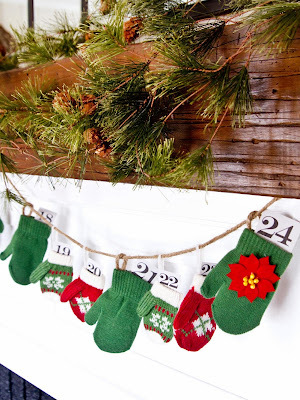 Turn an assortment of past-their-prime men's shirts with pockets into a colorful holiday countdown the kids will love. 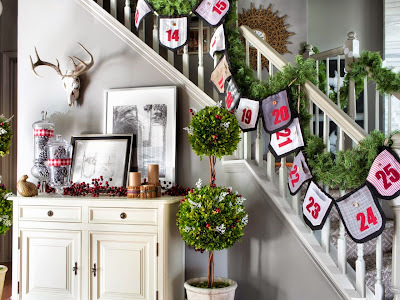 Follow these step-by-step instructions that explain how to stitch it up ~ then just hang on your bannister or mantel and fill the pockets with candy or small toys. A hand-me-down quilt may be too fragile or old to use as bedding but holds too many sentimental memories to simply throw away. Preserve the best part of the quilt, giving it new life as a charming Christmas tree skirt. 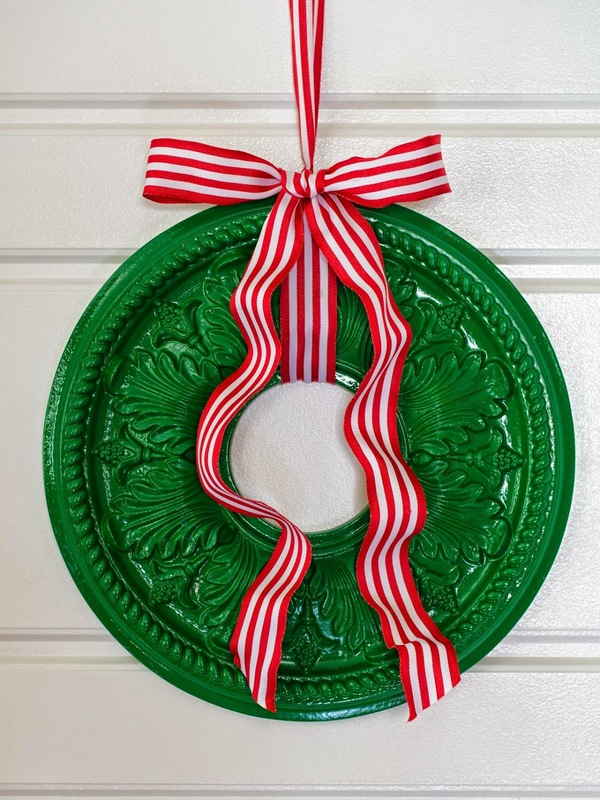 Follow these step-by-step instructions make this repurposing project a snap, even for beginning sewers. 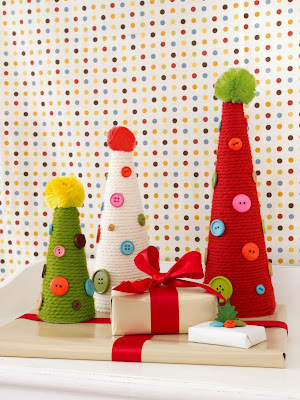 Also use butchers paper for wrapping, twin for securing and pine for embellishing your gifts. 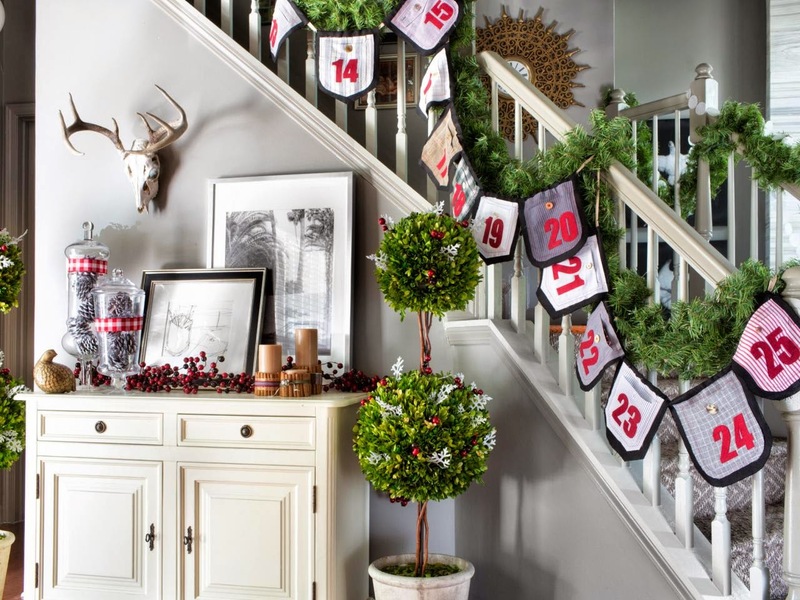 Create a warm and inviting entry for guests during the Christmas season. 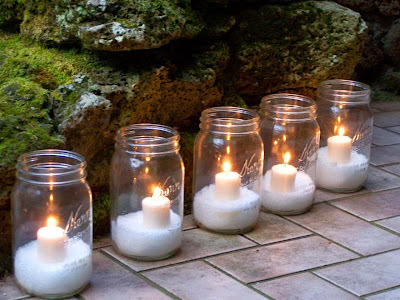 Fill mason jars with Epsom salt for a snowy, winter look. Add small votive candles and line the walkway for a true holiday welcoming. 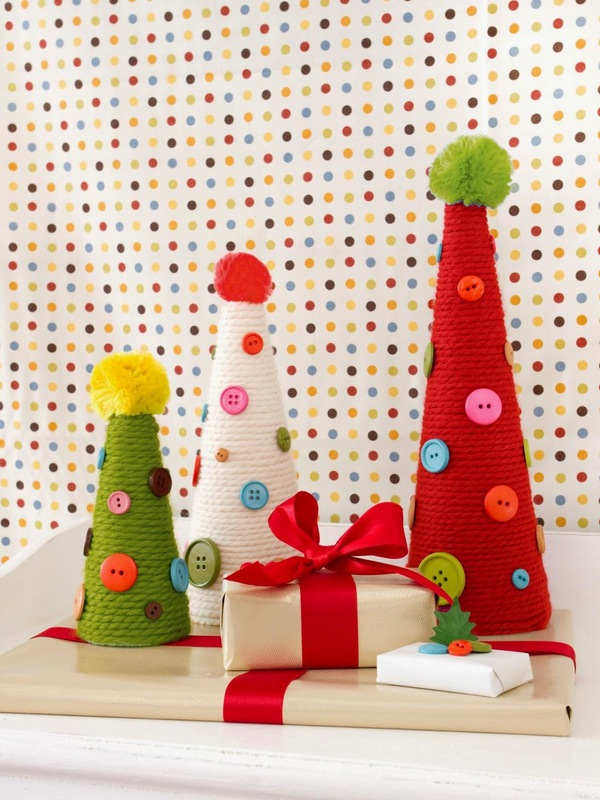 Retro-inspired Christmas decorations from the '60s have come back in a big way, making them a big-ticket collectible. 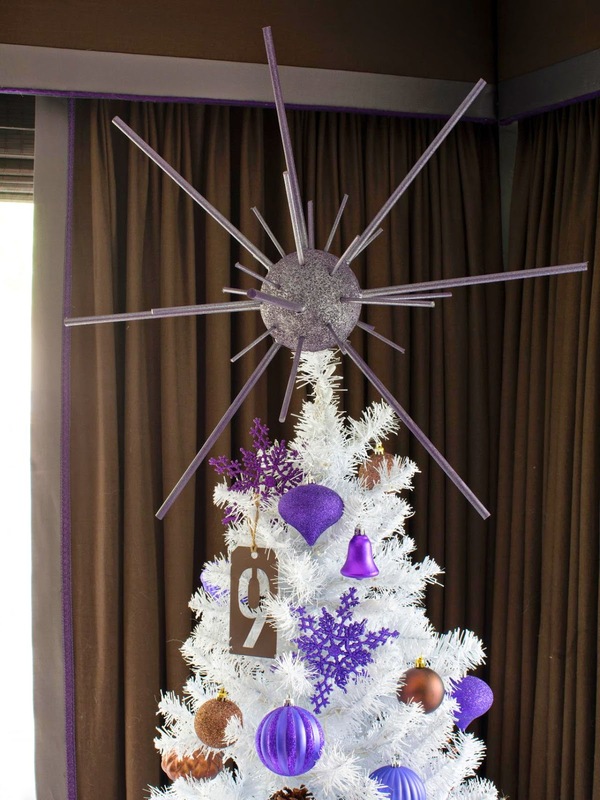 Add space-age style to your tree for less by crafting your own modern tree topper with a foam sphere, dowels and spray paint. Get the kiddos crafting to make a few of these playful dangles that are a snap to make using Scrabble letters glued onto a strip of colorful ribbon. 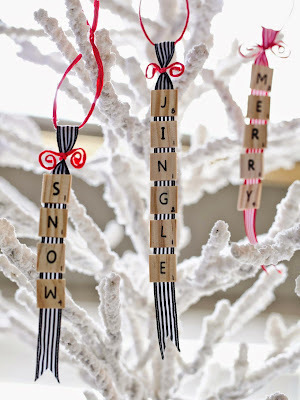 Use the letters to spell out holiday sayings or family members' names. Fill toddler-sized mittens with small toys and treats to create a cute way to help the kids count down to the big day. Use old, new, or missing mates gloves and dollar store finds for a cheap alternative. 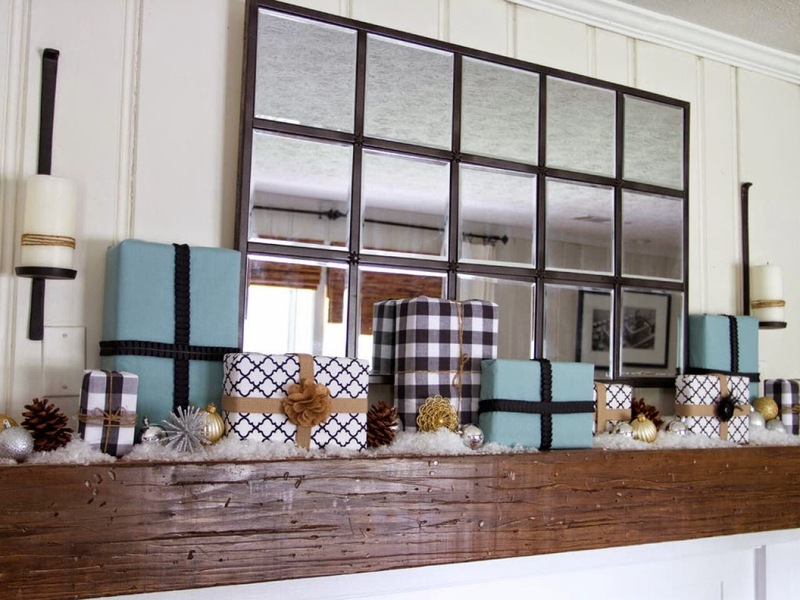 Give your holiday mantel a beautiful and unique twist. 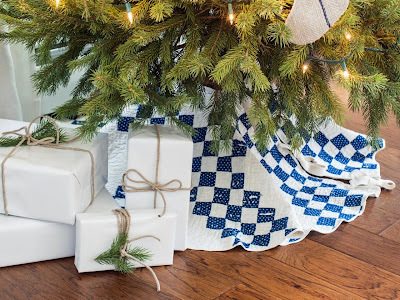 Simply use a variety of empty food boxes and wrap them in three or four different kinds of fabric that all coordinate with one another. Then finish off each package with decorative ribbon like fabric, satin or twine and hair flowers for embellishments. Arrange the wrapped "gifts" among ornaments, pinecones, candles and other glittery holiday decor for a fun and festive vignette. Create festive dining chair embellishments to coordinate with your tabletop decor this holiday season. 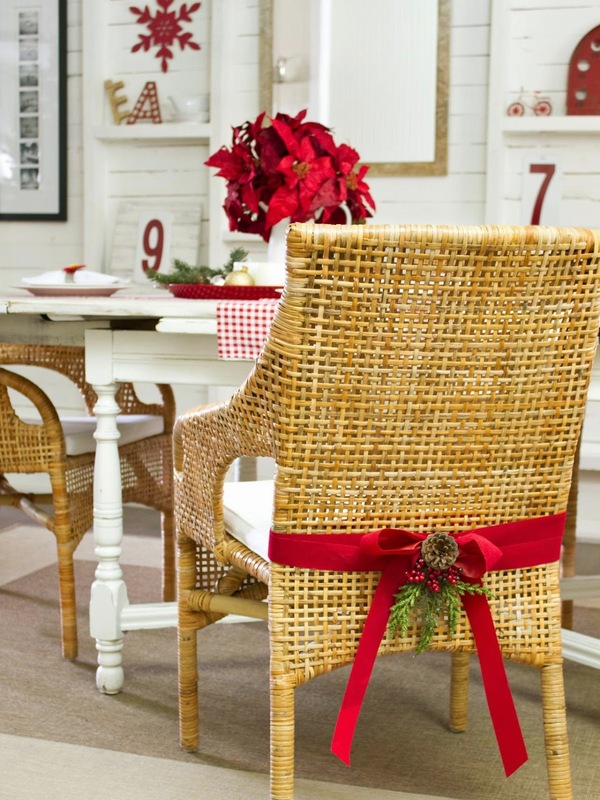 Simply wrap and tie a two-loop bow in the center of each chair using two-inch-wide un-wired ribbon in your preferred seasonal hue. Then embellish the center of each bow with greenery, pinecones and berries.